A highly anticipated release from giants of Japanese distilling, Nikka. Whilst they are best known in the West for their superb whiskies, Nikka have been making gins for the Japanese market for many years. This gin has been produced using the company’s world-famous Coffey stills, the same used to make their Coffey Malt and Grain whiskies. In creating this gin, Nikka split the botanicals three ways – herbs and spices, citrus fruit, and sansho pepper. The harder botanicals, of herbs and spices are distilled in a whisky-style pot still, whilst the more delicate citrus fruits and sansho are distilled at a low pressure in a Coffey still. Nikka have selected exotic Asian citrus fruit for this gin: yuzu, amanatsu, kabosu and shikuwasa. This is an extremely fruity and modern gin, with a precise clarity of flavour. Opening up with sweet spice, before a bold, bittersweet citrus note takes hold, with notes of yuzu and orange strong. Aromatic spice and juniper lasts on the palate. An incredible, modern gin with a distinct Nikka twist. The company have brought typical Japanese precision and harmony to the spirit. 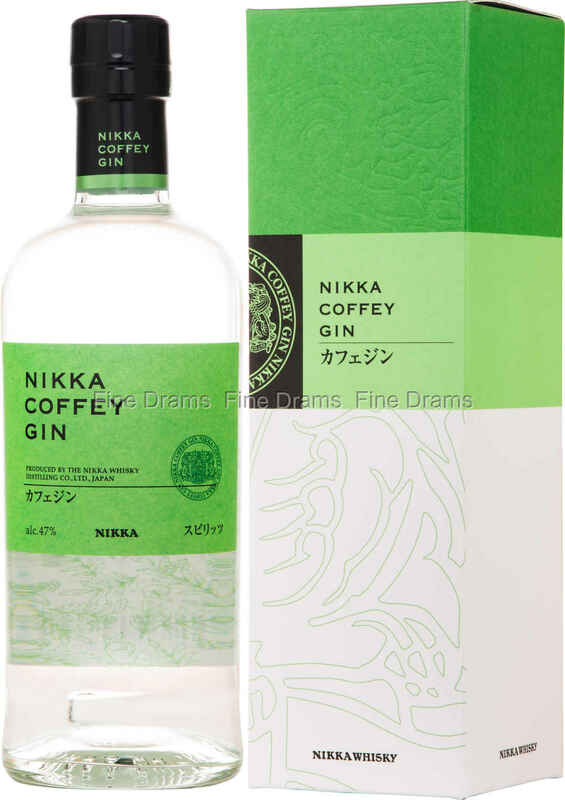 With all the exotic, bold citrus flavour, Nikka Coffey Gin is a dream for any inventive bartender.